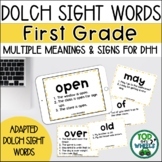 Perfect for young students exploring words that are spelled the same, but may have multiple meanings (also known as homographs).It was created to use for Leap Day and is Spring themed. 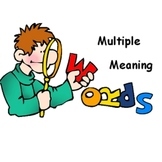 Multiple Meaning Words. A list of 36 words having multiple meanings is given. Students can write sentences using at least 2 different meanings for each word. This is an activity packet you can use for the spring for words with multiple meanings!! Students will match the eggs with the word onto the basket with the correct sentence. After they complete the activity they can create own sentences on the worksheet. 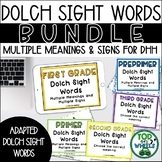 Dolch sight words with multiple meanings memory game. 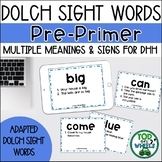 It includes cards for preprimer through third grade. Students learn defintions and meaning through contextual sentences. It includes ideas for extension activites to differentiate. 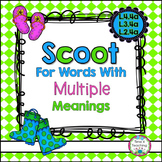 This item is a quick review of the concepts of prefixes, suffixes, base words, and multiple meaning words. 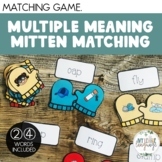 In this center activity, students will read sentences that contain a multiple-meaning word. Students will then sort the word based on the definition that matches the word. 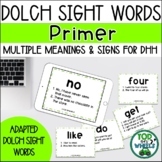 This product includes directions for the teacher, word mats with definitions, sentence cards and a student recording sheet. Aligns directly with McGraw Hill Wonders Second Grade Reading Unit 2.5 Assessment. I send this as a study guide with my students the day before a test for a quick review. 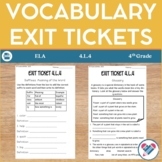 These work pages are designed as a practice or assessment tool to help children with the concept of multiple meaning words.